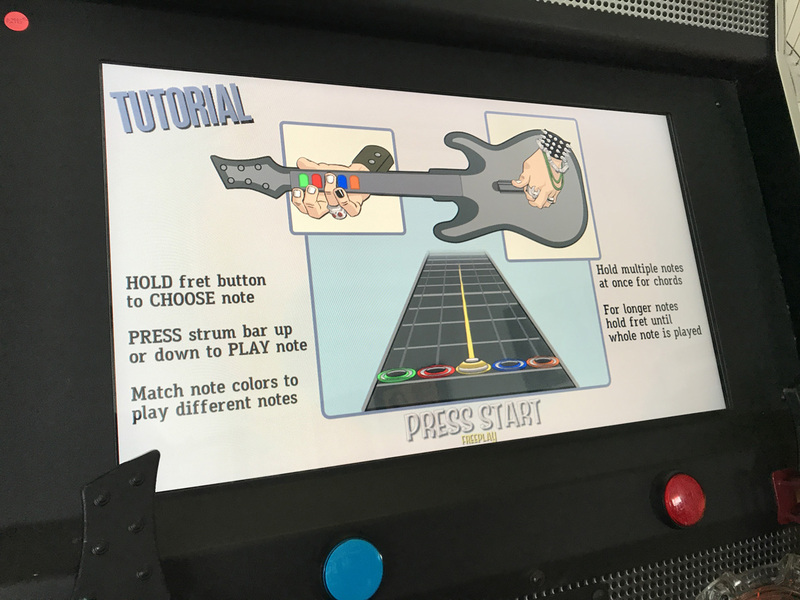 Guitar Hero Arcade Game * | Fun! Raw Thrills, Konami & Activision collaborate to bring one of the hottest entertainment franchises to Coin-Op, Guitar Hero Arcade! This 2-player upright cabinet has been developed & designed to draw fans & players out of their homes & into locations where a commercial arcade version can be found. Guitar Hero Arcade offers players the chance to select their favorite song from a library of over 50 popular titles from yesterday and today including (Black Sunshine – White Zombie, Jukebox Hero – Foreigner, Paint it Black – The Rolling Stones, La Grange – ZZ Top, Cherub Rock – Smashing Pumpkins, Hit me with your best shot – Pat Benetar, Rock n’ Roll All Night – Kiss, Barracuda – Heart …and many others). 2 players can play face-off or co-op as lead guitarist and bassist. 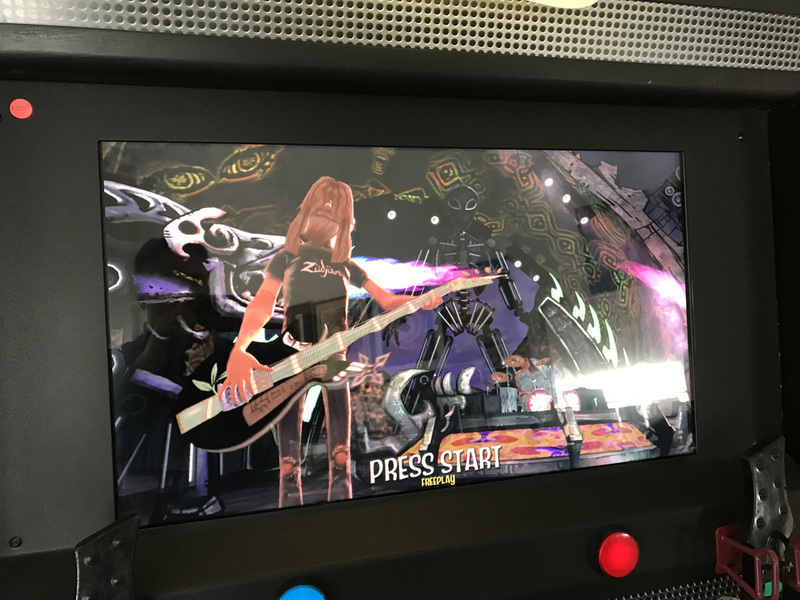 A 32″ LCD monitor allows the player to join the band on stage and the High-Def Graphics give the players an in-your-face experience, unique to arcade play. Equipped with 2 Enduro-AX Industrial strength guitars, an 4 speaker sound system & over 400 LEDs Guitar Hero Arcade will turn any location into a concert hall. This pre-owned arcade game works flawlessly and is location ready. Both guitars have been calibrated and sync’d for proper operation. Brand new side art installed to both sides of the main cabinet and new guitar straps installed on both guitars. Great game for an amazing home setting or commercial location. This unit is for FREE PLAY ONLY. If needing for coin play, please inquire.